Replacement Front Indicator Light unit to fit the Citroen Berlingo MK1 [1996 to 2002] Clear Lens All items are aftermarket replacement OE style. Replacement Headlamp / Headlight unit to fit the Citroen Berlingo MK1 [1996 to 2002] Electric Adjust (H4 Bulb type) All items are aftermarket replacement OE style. Replacement Rear Tail Light unit to fit the Citroen Berlingo MK1 [1996 to 2005] Models with a single rear tailgate door only. All items are aftermarket replacement OE style. 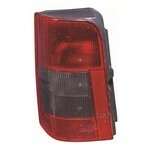 Replacement Rear Tail Light unit to fit the Citroen Berlingo MK1 [1996 to 2005] Models with twin rear doors only. All items are aftermarket replacement OE style. Replacement Headlamp / Headlight unit to fit the Citroen Berlingo MK2 [2003 to 2008] Facelifted model Electric Adjust Includes Adjuster Motor All items are aftermarket replacement OE style. Replacement Rear Tail Light unit to fit the Citroen Berlingo MK2 [2005 to 2008] Models with a single rear tailgate door only. Clear Lens Indicator All items are aftermarket replacement OE style. 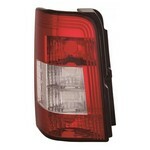 Replacement Rear Tail Light unit to fit the Citroen Berlingo MK2 [2005 to 2008] Models with twin rear doors only. 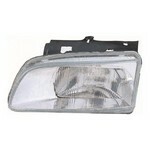 Clear Lens Indicator All items are aftermarket replacement OE style.